On February 3, the U.S. Treasury announced new sanctions on 13 individuals and 12 entities for supporting Iran’s ballistic missile program and its Islamic Revolutionary Guard Corps (IRGC). “Iran’s continued support for terrorism and development of its ballistic missile program poses a threat to the region, to our partners worldwide, and to the United States,” said John E. Smith, acting director of the Office of Foreign Assets Control. The new sanctions come less than a week after Iran tested a medium-range ballistic missile. Washington condemned the launch and officially put Iran “on notice” on February 1. 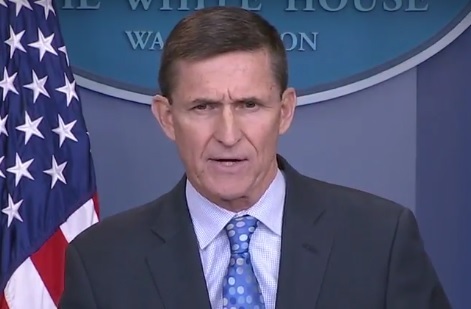 National Security Advisor Flynn added on February 3 that the “international community has been too tolerant of Iran’s bad behavior.” The following are statements from Flynn and the Treasury as well as a transcript of a briefing with senior administration officials on the sanctions. Today, the U.S. Department of the Treasury’s Office of Foreign Assets Control (OFAC) sanctioned multiple entities and individuals involved in procuring technology and/or materials to support Iran’s ballistic missile program, as well as for acting for or on behalf of, or providing support to, Iran’s Islamic Revolutionary Guard Corps-Qods Force (IRGC-QF). Reem Pharmaceutical, Mirage for Engineering and Trading, and Mirage for Waste Management and Environmental Services are being designated today for being owned or controlled by Muhammad Abd-al-Amir Farhat. Since 2011, Farhat has been the Chairman of the Board of Reem, a Lebanese pharmaceutical company that also does business in Iraq and Kuwait. In addition, he is the general manager of Mirage for Engineering and Trading, a Lebanon-based construction company that also manages projects in Iraq worth millions of dollars. ince 1999, Farhat has also been the general manager of Mirage for Waste Management and Environmental Services, a Lebanese environmental services company specializing in the cleaning, collection, recovery, disposal, and treatment of waste. SENIOR ADMINISTRATION OFFICIAL ONE: As you’ve seen in the press release, today Treasury’s Office of Foreign Assets Control, which is commonly referred to as OFAC, designated 25 individuals and entities for their support to Iran’s ballistic missile program or for their support to the Iran – the Islamic Revolutionary Guard Corps Qods Force, which itself has been designated under Executive Order 13224 for providing material support to various terrorist groups, including Hizballah and Hamas. Specifically, today OFAC designated three networks totaling 17 individuals and entities for their support to Iran’s ballistic missile program, including to the previously designated Aerospace Industries Organization and Shahid Hemmat Industrial Group, which are central players in Iran’s ballistic missile research, development, and production activities. OFAC also designated a key Lebanon-based IRGC Qods Force support network comprised of seven individuals and entities working with Hizballah. And finally, OFAC designated one individual for providing procurement and other services on behalf of the IRGC Qods Force. As a result of this action, any property of these individuals and entities designated today that are subject to U.S. jurisdiction are blocked and U.S. persons are generally prohibited from engaging in transactions with them. This means that financial transactions by U.S. persons are prohibited and exports to these individuals and entities are also prohibited, and consistent with statute, secondary sanctions attached to these individuals and entities. And their names will appear on OFAC’s Specially Designated Nationals and Blocked Persons List, or SDN list. Secondary sanctions are those that are generally directed towards non-U.S. persons for specified conduct involving Iran that occurs outside of U.S. jurisdiction. This means that non-U.S. persons who knowingly conduct or facilitate significant transactions with or who provide material or other – certain other support to these individuals and entities will themselves face being cut off from the United States. Broadly, these types of designations are critical to combating Iran’s malign activities that are outside the scope of the Joint Comprehensive Plan of Action, or JCPOA. As we’ve said consistently, we will continue to counter Iran’s support for terrorism, its ballistic missile program, and other destabilizing activities, including through our sanctions. And now I’d like to turn it back to our moderator. Thank you. MODERATOR: Great, thank you very much. Now I’d like to turn this over to our Senior Administration Official Number Two. SENIOR ADMINISTRATION OFFICIAL TWO: Thank you. Let me say that Iran’s continued ballistic missile development and support for terrorism are very provocative and undermine security, prosperity, and stability throughout the region. These designations today are our response to Iran’s ongoing ballistic missile program, including its ballistic missile test on January 29th, as well as its continued support for terrorism. We have taken these actions today after careful consideration, and we will continue to respond with appropriate action, including through designating entities and individuals facilitating procurement for Iran’s ballistic missile program. Iran’s ballistic missile program continues to be of grave concern to the international community. The January 29th ballistic missile test launch is inconsistent with UN Security Council Resolution 2231 and underscores the importance of continued international action to curtail such activity. The United States is committed to the full implementation of Security Council Resolution 2231, which calls upon Iran not to undertake any launches of ballistic missiles designed to be capable of delivering a nuclear weapon and which expressly prohibits the transfer of missile technology control regime items and related support by any country to Iran’s ballistic missile program. Additionally, in the past six months, Houthi forces trained and armed by Iran have attacked Emirati and Saudi vessels and threatened U.S. and allied vessels transiting the Red Sea, and they continue to threaten U.S. friends and allies in the region. We have consistently said that we will continue to counter Iran’s support for terrorism, destabilizing activities in the region, human rights abuses, and its ballistic missile program, including through sanctions where appropriate. It should not be of any surprise to Iran that we would take actions against companies and individuals that attempt to further Iran’s support for terrorism or aid its ballistic missile program. These designations mark yet another step in our continued effort to aggressively target Iran’s ballistic missile program and terrorism-related activities. Let me make clear: These steps we have taken today are outside of the JCPOA. The JCPOA is limited to Iran’s nuclear program, and the U.S. continues to implement its commitments under the JCPOA. Iran’s provocative ballistic missile launches and other destabilizing activities in the region are a clear threat to regional security. This is why we have acted today in designating these 25 individuals and entities. I want to reinforce the message that we will work positively with Iran when it abides by its international commitments, while underscoring our commitment to aggressively counter Iran’s destabilizing activities, including its support for terrorist and militant groups. Thank you. Let me turn it back to the moderator. MODERATOR: Thank you very much. Now I’m turning this over to our Senior Administration Official Number Three. Go ahead, [Senior Administration Official Three]. SENIOR ADMINISTRATION OFFICIAL THREE: I think that the statements that have already been prepared and delivered address the challenges that we face with Iran, and I would stress that these are just initial steps in response to Iranians’ provocative behavior, and that we’ve been going through a deliberative process. We are just finishing our second week and we’re still putting our team members in place across the agency. But I would stress that we have gone through a normal process here where we had our coordinating committee, with input from the whole interagency, validation of these targets developed by Treasury, and we continued to deliberate. And we made our recommendations through a normal process considering risk as well as advantages in providing those recommendations to the Deputies Committee, which convened and agreed with the recommendations and these actions that were taken today. That’s all I have to say at this point. MODERATOR: Great. Thank you very much to our senior administration officials. Jon, Operator, if you can open up for our first question. OPERATOR: And just a quick reminder, ladies and gentlemen, if you have a question, please press *1. And first go to the line of Matthew Lee with the Associated Press. Please go ahead. QUESTION: Thanks. I’m sorry, I kept hitting *1 because I wasn’t hearing any beep. Anyway, my question is a simple logistical one. I just want to make – double check that there are no sanctioned entities today that are re-designated from the list – from the entities that were dropped after the JCPOA. SENIOR ADMINISTRATION OFFICIAL ONE: Matthew, this is [Senior Administration Official One]. I want to confirm that that’s right. There are no re-designations of previously designated persons in today’s action. MODERATOR: Thank you very much. Operator, if we could move to our second caller. OPERATOR: We’ll go to Andrea Mitchell with NBC. Please go ahead. QUESTION: Thank you very much. Can – Senior Official Number Three, can you tell us more about that deliberative process? At what stage, if at all, was there an NSC or a decision by the President? Was it done at the deputies level, at the principals level – just to explain in this, as you’re all gearing up and I know you’re staffing, how this worked? Thank you. SENIOR ADMINISTRATION OFFICIAL THREE: It was a very normal process, worked through the National Security Council and the interagency. The recommendations and decisions were forwarded up as per our directive that guides all of our deliberations for informing and getting approval from the President. I would refer you to that document that was published earlier this week. MODERATOR: Thank you. Moving to caller number three. OPERATOR: We’ll go to Margaret Brennan with CBS News. Please go ahead. QUESTION: Thanks. I just want to clarify that none of these sanctions today would impact some of the deals, like the Boeing deal, that has been in the works post nuclear agreement. And if we can clarify from a policy perspective, does the U.S. – does the Administration view a tax by groups allied with Iran as the same thing as a tax by Iran? Specifically, the mention of Houthi forces being trained and armed, does the Administration believe that they are under the command and control of Iran? Thanks. SENIOR ADMINISTRATION OFFICIAL ONE: This is [Senior Administration Official One]. I’ll take the response to the first question, Margaret, which is – the question was clarifying that none of the sanctions impacts such things as the Boeing deal, et cetera. And I’ll just frame it as, as everyone has stated, these actions – these – the designations taken today were to combat action – activity outside the JCPOA. So things like the Boeing deal, et cetera, are not directly affected by today’s actions. MODERATOR: Great. Would some – go ahead, please. SENIOR ADMINISTRATION OFFICIAL THREE: As to the relationship of Iran, for example, to the Houthis and how we connect the dots, first of all, I would say that we are very concerned about the freedom of navigation in the Bab-el-Mandeb area, and that is an important consideration because it does impact global commerce. Number two, Iran has heavy influence, continues to arm and support the Houthis. Iran is responsible for the access to arms, not necessarily responsible for every tactical decision. What we will say, though, is that Iran in its relationships with proxies throughout the region bears responsibility for these groups that they are closely entwined with, and we examine each case individually to develop the information required to make appropriate and deliberate decisions. MODERATOR: Thank you. If we can move to our next question. OPERATOR: We’ll go to Carol Morello with The Washington Post. Please go ahead. QUESTION: Hello. Thank you. Senior Administration Official Number Three said these are just initial steps in response to Iran’s behavior. I was wondering if you have anything in mind that may be imminent, and what exactly would be – might Iran do that would provoke your moving to this next step? SENIOR ADMINISTRATION OFFICIAL THREE: Iran has a continuing operation throughout the region, continues to conduct and support through its own forces, like the IRGC and Qods Force, as well as its proxies, behavior that is not sustainable, not acceptable, and violates norms and creates instability in the region. Iran has to determine its response to our actions. Iran has a choice to make. We are going to continue to respond to their behavior in an ongoing way at an appropriate level to continue to pressure them to change their behavior. OPERATOR: We’ll go to Michelle Kosinski with CNN. Please go ahead. QUESTION: Hi. Thank you. Can you tell me what kind of exposure do you think these people and entities have to the types of dealing that you’re prohibiting? Are there any assets, is there any transaction that you know of with American entities already? Because it seems like the effect overall might be quite small, but maybe you can shed some light on that. And secondly, you said that the missile launch was inconsistent with the UN resolution, and that’s similar language that we’ve heard from the State Department, but it’s different from the language that comes from the White House saying that it is specifically in violation of that resolution. So could you also add some clarity there? Thanks a lot. SENIOR ADMINISTRATION OFFICIAL ONE: Hi, Michelle. This is [Senior Administration Official One]. I will take the response to the first question alone regarding any impact of these individuals and entities. Though they are located overseas, we assess them to have touchpoints to the United States with leverage over U.S. jurisdiction. For example, they procure U.S.-origin goods, or they may have transactions that hit the U.S. financial system, and that would be blocked by this action. SENIOR ADMINISTRATION OFFICIAL TWO: Maybe I can address the second part of the question. I mean, certainly we have said that these missile launches now and in the past are in defiance of 2231. I don’t recollect an administration official using the term “violation” per se, but the Security Council resolution is very clear. Iran – the Security Council calls upon Iran not to undertake ballistic missile tests. These tests are extraordinarily provocative and they’re extremely destabilizing. Additionally, the Security Council resolution makes clear that Iran can’t undertake these activities when a ballistic missile would be capable of carrying a nuclear weapon, and in this case, this kind of ballistic missile meets that very qualification. Those are ballistic missiles that can travel a certain distance and carry a certain payload, and this ballistic missile falls within that parameter. MODERATOR: We can move to our next question, please. OPERATOR: And we’ll go to Yeganeh Torbati with Reuters. Please, go ahead. QUESTION: Hi, thanks for doing this. This is maybe more for [Senior Administration Official One]. Can you make clear – a lot – some of these sanctions were linked to a network, the Mabrooka Group that was sanctioned last year during the Obama Administration. Did the work in terms of identifying these individuals and entities and teeing them up for possible sanctions, did that start during the Obama Administration? SENIOR ADMINISTRATION OFFICIAL ONE: Thanks, June. I would just note that we would – we have consistently been following up and researching targets that go beyond the – Iran’s activities settled in the JCPOA that go beyond the nuclear file. So we have been consistently focusing targeting efforts on Iran’s ballistic missile program, its support for terrorism, et cetera. MODERATOR: Thank you. We have time for two more questions. Jon, if we could go to the next one. OPERATOR: And that will be David Clark with AFP. Please, go ahead. QUESTION: Hi, good morning. Thanks for doing this. The question is slightly a follow-on from Yeganeh’s, as it happened. The ballistic missile test was on January 29th, as you said, which is only four days ago. And obviously, this is a very detailed list. Would these sanctions have been going into place at some point if the ballistic missile test hadn’t happened? Hello? SENIOR ADMINISTRATION OFFICIAL THREE: The determination to make this decision on these sanctions was made in a process and a review. We are undertaking a larger strategic review. The launch of the missile was the triggering event. MODERATOR: Thank you. That was Senior Administration Official Number Three. And we’ll move to our final question. OPERATOR: That will be Carol Giacomo with The New York Times. Please, go ahead. QUESTION: Hi, this has got three parts to it. Somebody mentioned that you were still willing to work positively with Iran. How do you see yourselves working positively with Iran? Have you reached out to Iran at all? Have there been any contacts with Iran since this Administration took over? Have you spoken to the allies about this action and your actions going forward in terms of Iran? And one other thing: Do you consider the Houthis to be a terrorist group? SENIOR ADMINISTRATION OFFICIAL THREE: The United States maintains constructive dialogue with our allies. We do coordinate. We did do this with the parties that we needed to. We will not comment on our communications with Iran. Thank you.